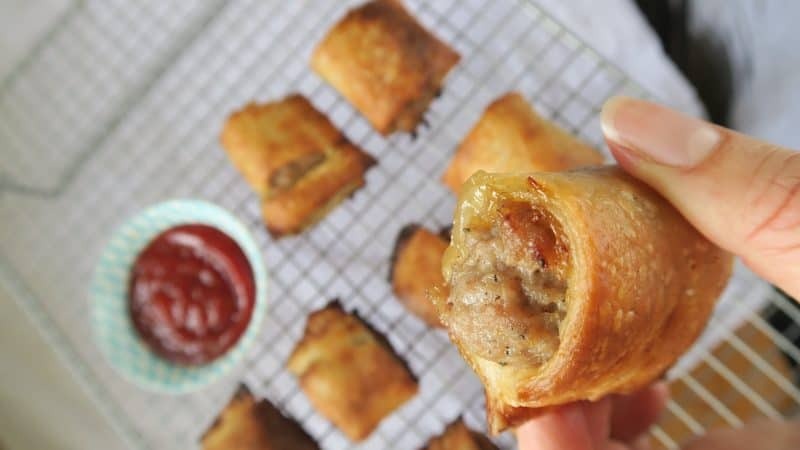 Hands up all the coeliacs in the house who would love to eat gluten free sausage rolls? Well, my gluten free friends, I’ve made the perfect sausage rolls and this recipe is SO simple and easy to make. My local supermarket finally had the Jus-rol gluten free puff pastry in stock, so I grabbed some quickly so I could experiment. It’s been a long time since I had puff pastry, so I wasn’t too sure what to expect. Naturally, gluten free sausage rolls were the obvious choice, and they turned out beautifully. 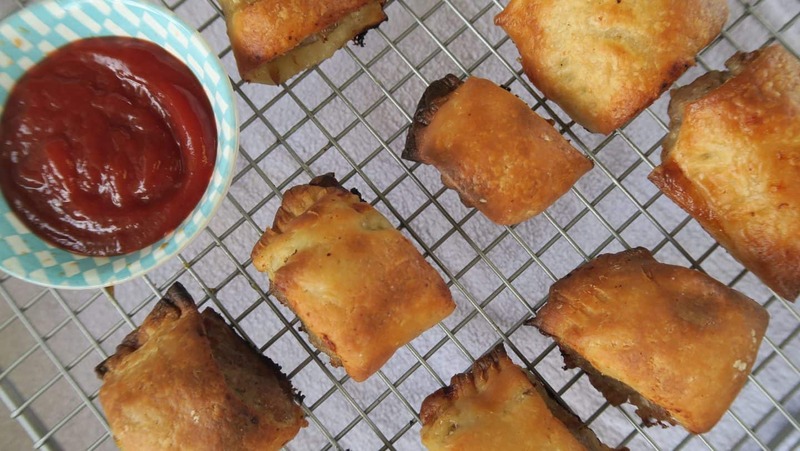 Gluten free sausage rolls are a great all-rounder. They make fabulous party food, they’re great hot or cold for picnics, and they even make a nice change to a lunchbox. As we’re not getting much sunshine at the moment and its only a couple of weeks until the kids go back to school, now is the time to perfect these ready for when the lunchboxes come back out. And if you need some more inspiration, they would be amazing with this gluten free brie and asparagus quiche! The Jus-rol pastry comes ready-rolled, you just have to take off the wrapper and uncurl it. First dilemma: I needed a square piece, but this gluten free puff pastry is round. To get around this, I squared mine off, and then used the leftover edges to make some delicious gluten free cheese straws, by brushing them with egg, sticking grated cheese and parmesan to the egg, and then twisting them up, baking for 10 minutes. Yum! But back to the matter at hand. The gluten free sausage rolls. Once I had squared off the gluten free puff pastry, it was really a matter of filling it with sausage meat. For my recipe, I skinned six gluten free sausages (I used Tesco Finest pork sausages). I cut my square of pastry in half, and with one half I made ‘normal’ gluten free sausage rolls, but the other I jazzed up with some chutney. 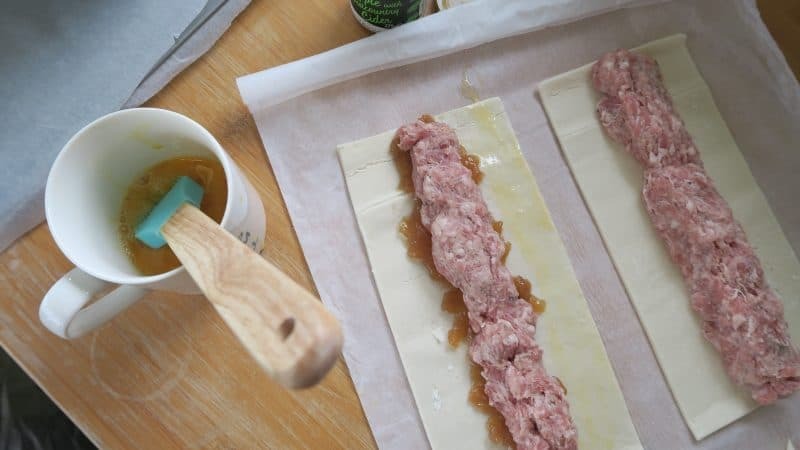 I much preferred the chutney version of these gluten free sausage rolls – I used the cider chutney from Otter Vale (big up the Devon food scene!) and it just added a really nice depth of flavour. They also felt a bit ‘posher’, and would have been great for a party food platter. 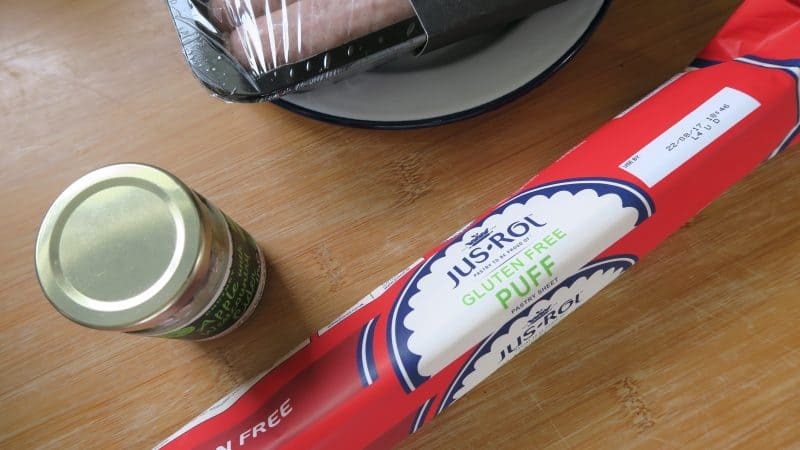 I was so impressed with the taste of these gluten free sausage rolls – and so were my gluten-eating guinea pigs! Steve’s mum is always my best judge because she doesn’t like a lot of gluten free foods, but she really enjoyed these. I thought the pastry was really buttery and delicious, and it brought back vague memories of what puff pastry should be like. 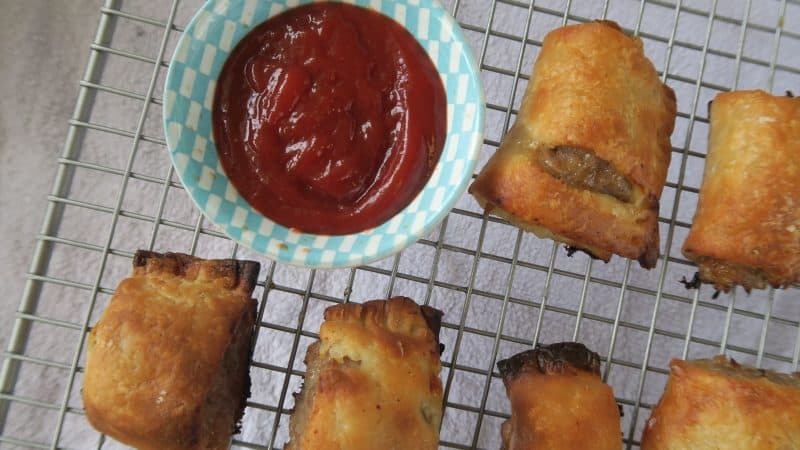 Delicious and easy gluten free sausage rolls. These are so simply to make and perfect for party platters or picnics. Preheat the oven to 220'C / Gas 7 / 425'F. Remove the gluten free puff pastry from the fridge and leave for five minutes. Remove the skins from the sausages and place the sausage meat in a large mixing bowl. Combine together with your hands so it forms one big ball. Roll out the puff pastry. 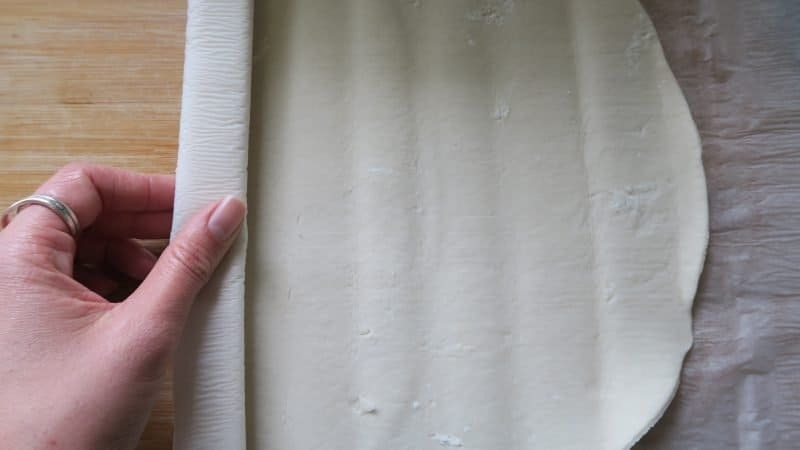 Cut the edges of the circle off to create a square, and then cut this in half, so you have two rectangles of puff pastry. Brush the beaten egg onto one side of the pastry on each rectangle. Then fold the pastry over the top and seal the sides using your fingers. You might want to use a fork to press this down and create a pattern on the edge. 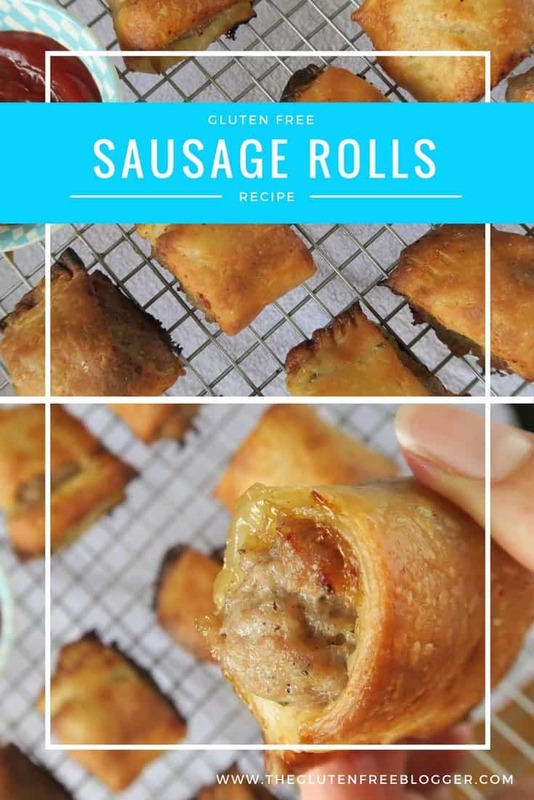 Cut each sausage into six, place the little sausage rolls on a baking tray and bake in the centre of the oven for 15-20 minutes, until they are crisp and golden on the outside. Allow to cool on a rack. Eat them hot or cold. 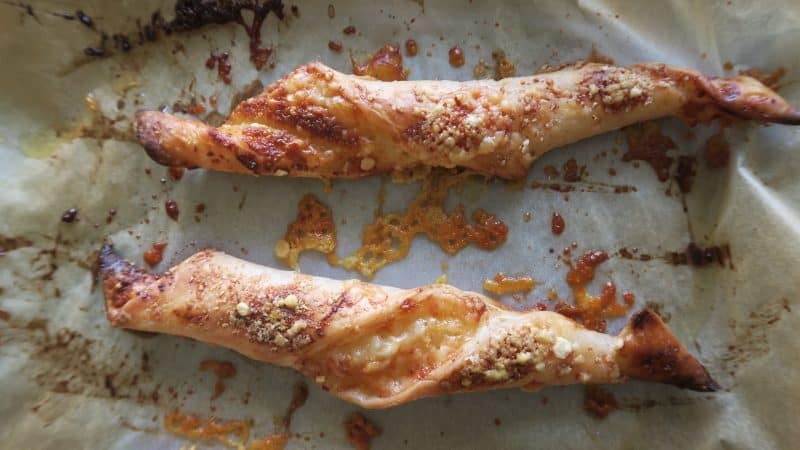 Use the leftovers of pastry to create cheese twists - just see my tips in my blog post above on how to do this! They are delicious! Which pastry-based foods do you miss the most? Please comment below and let me know or tag me on my Facebook page, Instagram or Twitter. 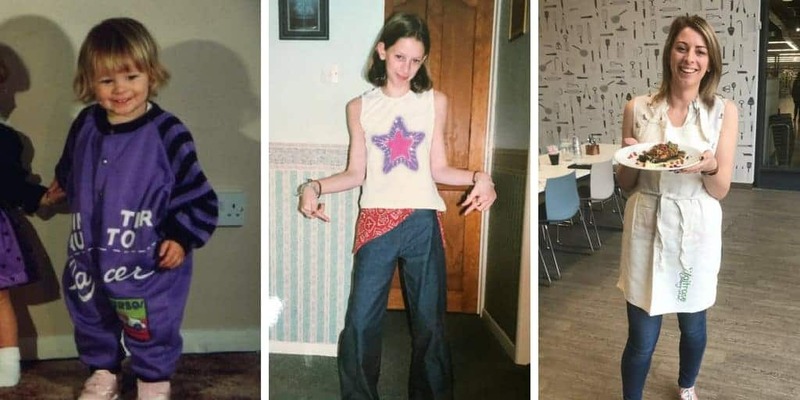 I love a challenge! 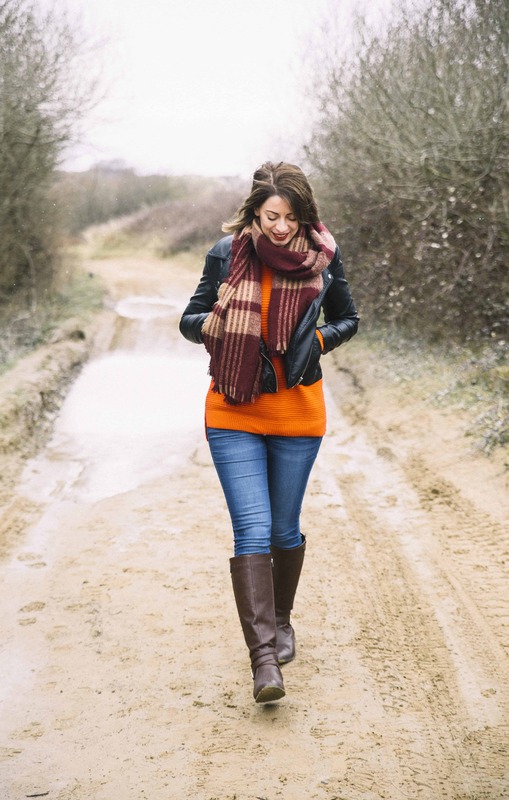 Next Post Seven supermarket foods you wouldn’t think are gluten free – but they are! Could use a dollop (technical measure!!) apple sauce instead of the chutney…or small sliced apple…. Oh yes that would be amazing I reckon! I’ll try that next time! Ooh yes to apple sauce too oh, oh or red current jelly….oh the endless possibilities. These look awesome though Sarah, gonna have to find an egg-less glaze to get that deliciously tempting colour though…let me think?